After being approved by the House and Senate on Wednesday, June 4, 2014, a new texting and driving bill is on its way to Governor Haleys desk. The South Carolina Senate approved the bill by a 42-2 vote and 30 minutes later, the House passed the bill by an overwhelming 94-2 margin. The bill would give all law enforcement officers the ability to pull over drivers on suspicion of texting while driving, much like they can if they suspect someone is driving under the influence. 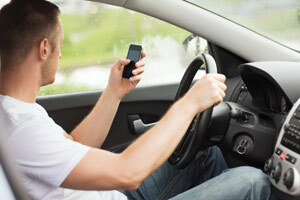 If a driver is caught texting they could face a fine of up to $300. "I am so proud to have been the sponsor and joined with Democrats and Republicans to pass it. The ban will help protect the people of South Carolina, clear up confusing and irregular local regulations, and make our roads safer around the state State Sen. Vincent Sheheen told Fox Carolina. In 2008, South Carolina was ranked number one in sending text messages while driving, which is why many cities and towns began to implement their own bans. Once the ban is signed into law by Gov. Haley, South Carolina will be the 49th state to adopt a law on texting and driving. Have you or someone you love been injured by a distracted driver? Did you know that victims of distracted driving accidents can file a claim for coverage of medical expenses, lost wages and more? Contact the car accident attorneys at Harbin Law today to learn more about what your legal rights are at 1(888)821-0247.